The history of the Hope Diamond begins on December 6, 1668; it was probably mined from the Kollur mines in Golconda, India. The Kollur mines in the mid sixteenth century produced a huge volume of loose diamonds, as approximately 60,000 people worked in the mines. The Hope diamond and the Orlov diamond were two large diamonds thought to come from this mine. The Indian people believed that white diamonds meant prosperity, red, diamonds meant bravery and blue diamond meant misfortunes, bad luck and so forth. The largest diamond in the world was thought to have been stolen from the forehead of the Hindu Idol goddess Sita, housed in a Hindu temple. It is rumored that the priests of the temple put a curse on this blue diamond. It is unclear who stole the diamond, but the next historical record has Jean Baptiste Travernier, a French gem merchant, who traveled extensively and often to India, as the owner. It is widely accepted that he stole the diamond between 1640 and1667.The stone was then known as the Travenier Blue diamond. Batiste was mauled to death in Russia by a dog at the age of 83. This is the first evidence of the curse. The diamond had been crudely cut in the shape of a triangle at 112.23 or 115 carats, a common cut in that time period. The Travenier’s book “Six Voyages” related the sale of numerous diamonds of the world sold to King Louis XIV, between 1668 and1669. There is no direct mention of the blue diamond in these sales, however, according to National Geographic; Louis XIV purchased 40 large diamonds and 1200 smaller diamonds from Batiste, making him a very rich man. 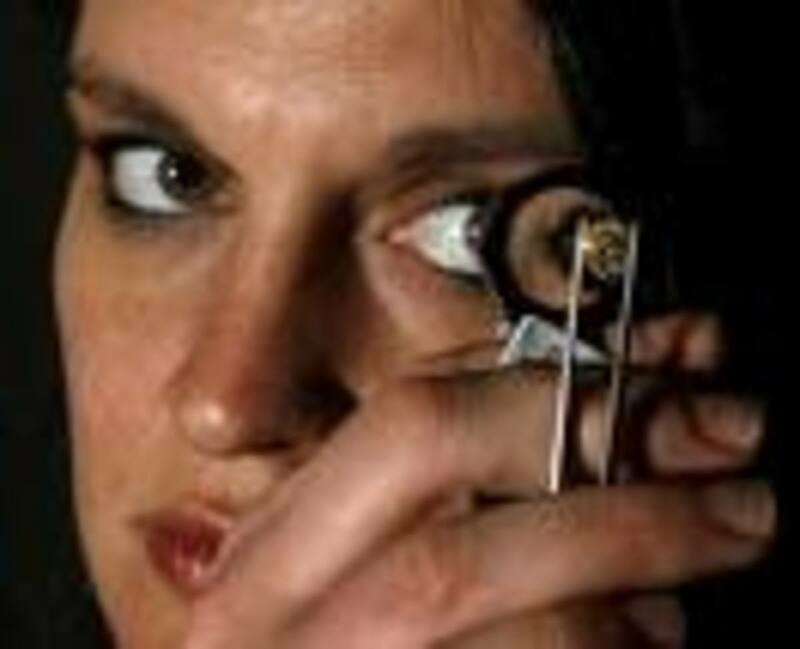 King Louis XIV commissioned Sieru Pitau, a jeweler, to cut the large diamond, which resulted in a 67.125 carat stone. The diamond was then referred to as the “Blue Diamond of the Crown of France”. 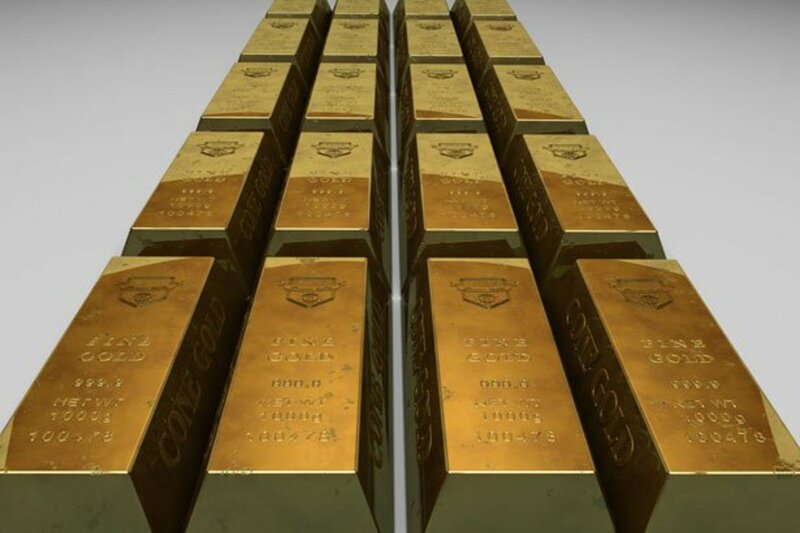 It was set in gold and reportedly hung from a ribbon worn by the King during ceremonies. 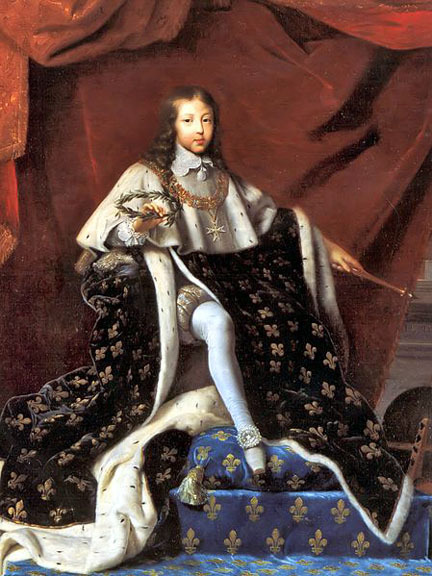 Louis XIV, the “Sun King”, reigned for 72 years, and history shows he changed France from a rather savage, medieval country to a country with a more refined way of living. His reign is remembered as great and glorious. He spent money like no other king before him, having lavish buildings constructed, and he organized his ballet, “The Sun King”. At the end of his reign there was a rebellion by the Huguenots and a war with the Spanish. However, he single handedly initiated the craze for owning diamond jewelry across Europe. 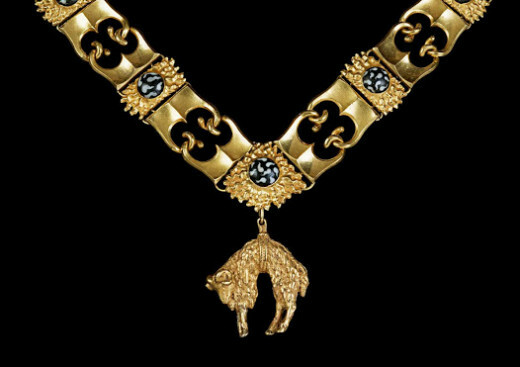 The Order of the Golden Fleece began in 1430, by Phillip the Good, Duke of Burgundy. It’s membership initially only included knights but eventually including the sovereign. Their purpose was to celebrate prosperity and wealthy domains from Flanders to Switzerland. The sovereign would consult this order before going to war, which indicates the power of this organization. 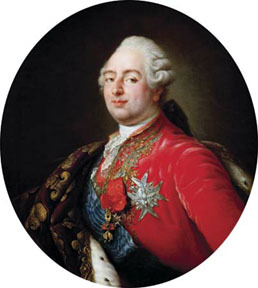 Louis XVI became the king and wedded Marie Antoinette (from Austria) at age 15. She was generally disliked by the French people, as France had survived a seven year war where they were defeated by England. Austria had pulled them into that war. in 1792, thieves robbed all the crown jewels over five nights breaking into the Garde-Meuble (the Royal Storehouse) and they disappeared from history for many years. However, the curse continued, as Louis XVI was beheaded by the guillotine in January 1793, and Marie was guillotined in October 1793. King Louis XVI inherited the diamond after King Louis XV and his wife died of tuberculosis when King Louis the XVI was only 11 years old. King Louis XV had the diamond set into a more elaborate pendant for the “Order of the Golden Fleece”. The pendant contained a red spinel (a group of jewels) of 117 carats with the shape of a dragon breathing flames, plus it had 83 red-painted diamonds and 112 yellow painted diamonds to resemble a fleece shape. The diamond next appeared in London in 1812, owned by a diamond merchant, by the name of Daniel Eliason. There is solid evidence that this was the French Blue, which is now the Hope Diamond. King George IV purchased the diamond. His debts by the time of his death were very large. It is thought the diamond was sold at that time, in 1830, purchased by a wealthy banker, Henry Phillip Hope. King George was heavy, suffered from gout, aged rapidly and died a painful death from blood vessels rupturing in his stomach. Certainly one could consider that a curse. Henry Phillip Hope suffered a series of misfortunes as well, which included the death of his only son. Lord Francis Hope inherited the Blue Diamond from his older brother He married Mary Augusta Yohé, an American singer and dancer. They were divorced in 1902. She claimed to have worn the necklace and died in abject poverty. He too lived a lavish lifestyle, gambling away much of his fortune and ultimately lost all his families land holdings, as well as, suffering from an unhappy marriage. The diamond is now referred to as the Hope Diamond and was sold in 1902, to pay off Lord Francis’s debt. Simon Frankel, a NY jewelry broker, bought the diamond but met with severe financial hardships in the Depression. The next owner was Jacques Color. He went mad and committed suicide. There were several more owners with the same type of fates, then the diamond ended up with Pierre Cartier who sold it to Evalyn McLean. Finally, Evalyn Walsh McLean purchased the diamond from Peirre Cartier. She was another victim of the diamonds curse. Her mother-in-law died shortly after the purchase, her oldest son died in an automobile accident at age 9, her husband ran off with another woman, depleted much of their fortune, then suffered from brain atrophy due to alcoholism. Jeweler, Harry Winston, of NYC purchased the Hope Diamond in 1949, at an estate sale of Evalyn Walsh’s jewelry. The Hope Diamond was then sent on a good will tour throughout the United States, and then he donated the diamond to the Smithsonian Institute. One would assume he would have sent the diamond in an armored truck, but he chose to use the US mail. The postman that delivered the diamond to the Smithsonian got hit by a truck, his wife died and he watched his house burn down shortly after the delivery. That would certainly make one think there is a curse on the Hope Diamond. 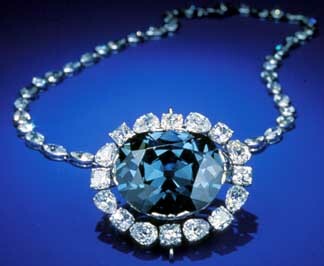 The Smithsonian Institute proceeded to examine 90 blue diamonds and compared them to the Hope Diamond. 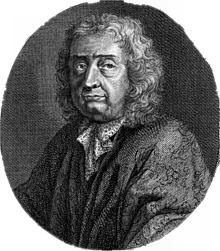 Scientist, Stephen Clarke, wore glasses with magnified lenses and gloves. The Hope Diamond had been removed from its setting. They used a very sophisticated test, which determined that boron was the mineral which causes the mosaic of blues and the fiery red color under ultraviolent light, plus the brilliant phosphorescence. The fiery red coloring is one of the reasons the diamond was thought to be cursed. All of the 90 blue diamonds tested showed phosphorescence, with some being red and some blue-green. None of these diamonds had the same qualities as the Hope Diamond. There was a fifty year anniversary celebration at the Smithsonian for the diamond. Harry Winston designed three possible settings for the Hope Diamond and people were allowed to vote online for their choice. More than 10,000 people voted. Eight months later the necklace was completed. It has 340 baguette diamonds, which total 66 carats. The Hope Diamond in its new setting was unveiled on November 18, 2010. The setting was named “Embracing Hope”. Hilary Rhoda is the special lady that wore the new necklace for a photo session. Harry Winston created the Harry Winston Hope Foundation and contributed $1 million to support educational initiatives and the National Gem Collection at the Smithsonian. The Smithsonian National Museum of Natural History in Washington D. C. now houses the diamond along with 10,000 gems and 350,000 mineral specimens Harry Winston has been an inspiration to jewelers and gem collectors throughout the world. A trip to Washington D. C. would not be complete without visiting this unique exhibit in the Natural History Museum. The Smithsonian Institute completed a documentary called, Mystery of the Hope Diamond, narrated by Kim Bassinger., which is available on the smithsonianchannel.com. Is there really a Hope Diamond curse? Certainly many of the owners lived lavish lifestyles, which probably caused the loss of their fortunes. Others, such as the postman, are exceptions. Many people wrote letters when the diamond was donated to the Smithsonian, fearing the curse would fall of the USA.Regardless, Hollywood could not come up with a story of this magnitude. The history of the diamond is certainly interesting and each individual will have to make their own conclusions concerning the curse. Do you believe the Hope Diamond has a curse? I think stranger things have happened and it probably is cursed. I have seen the Hope Diamond and I don't think it is cursed. Tim, I really enjoyed researching and writing this article. I am glad you enjoyed it, and I aapreciate your comments. Pamela, this was interesting and satisfying. Although the diamond may be cursed, if it was blessed, good-bye curse in U.S.A. I feel sorry for that poor post man. Great article about the Hope Diamond. You researched and wrote a very entertaining and thought provoking Hub. Rosalinem, I thought the same thing. I'm glad you enjoyed the hub and I appreciate your comments. Very intriguing reading, the postman is the unfortunate one in this scenario. rcumple, I hope the diamond is not that powerful! I wish you a better future. Thank you for your comments. unknown spy, I found the information on the Hope Diamond to be very interesting also. I appreciate your comments and the share. Very interesting account. Had no idea as to the history or the curse until this. Viewed the diamond at the Smithsonian in the mid 80's. Perhaps, that explains my life since then! Very detailed and informative Hub! Great Job! Oh this very neat!! will be sharing this. suzettenaples, The history really is interesting. Thanks for your comments. Very nice hub! I had heard about the blue diamond but did not know all this about it. What a history! Jamagenee, I noticed that also. Perhaps it was because they didn't buy it to own but rather to sell, but then how do you explain the postman. Thanks for your comments. mollymeadows, You make a great point. Thanks for your comments. Pamela, I was fascinated by this hub. I saw the Hope when I visited the Smithsonian years ago and it was one of the most beautiful gems I've ever laid eyes on. As for the curse, well, if we removed theft, war and greed from this history it would be a good deal less tragic...great story! cherrycrime, I love that movie also. Thanks for your comments. Peggy, Glad you enjoyed the hub and I appreciate the comments and the tweet. I had heard about the curse of the Hope Diamond and you refreshed my memory with your informative hub. Voted up, interesting and tweeting this. b. Malin, I'm glad you enjoyed the hub and I appreciate your comments. Ruby, I don't really believe in curses either but this diamond does have a unique history. Thanks so much for your comments. Who knew the famous "Hope Diamond" had that kind of History behind it. As they say, "Diamonds are a Girl's Best Friend". Such a Wonderful, Informative Hub Pamela. drbj, I guess it is kind of a biography. I appreciate your comments and loved your joke! Hi, Pamela. I have heard of the Hope Diamond, of course, but knew little of its history. Thank you for enlightening me with this amazing and well-written, shall I say, biography of the diamond. You remind me of the very old joke: a woman named Katz is showing a friend her amazing large diamond ring. She says that it comes with a curse. "What's the curse?" asks her friend. The woman says, "Mr. Katz!" teaches, It sure it a beautiful gem. I appreciate your comments. prasetio, I am glad you found the hub informative and thank you for the ratings. You take care also. Very informative hub, Pamela. Diamond is always beautiful. But I had never know about the largest diamond. There are a lot of history about diamond here and I learn much from this hub. My friend, you have done a great job. Rated up (useful, awesome, interesting, beautiful). Take care! The blue diamond is so beautiful. 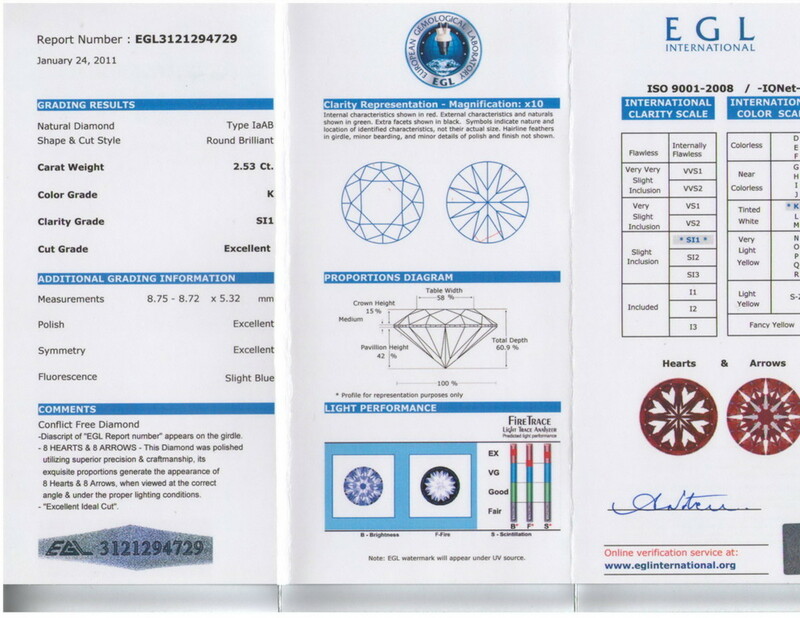 With such a value on these diamonds, they are bound to have some mystery and danger to them. Interesting hub topic. molmeter, I'm glad you enjoyed the hub and I appreciate your comments. This diamond does seem to cause problems for it's owners. Good read and a very detailed hub. This new format looks interesting. Frog Prince, I think it should be displayed rather than owned by a single person since it is so unique. Thanks for your comments. Pamela - Wow does it ever have a history. Something that big doesn't seem that useful in my eyes. Anginwu, I also thought his story was sad under any circumstances. The diamond sure has an interesting history. Thank you for your comments. Very fascinating historical recount of this fabulous yet tragic Hope Diamond. I wonder why it would be so desirous if it seems to bring ill luck? The saddest story has to be the delivery guy--he was just doing his job and certainly didnt' deserve the strings of bad luck. Thanks for sharing and rated up. SunRob, You may be right. Thanks for the comments. BPOP, I'm glad you enjoyed the hub and I appreciate your comments. Fascinating history of the Hope Diamond. Thanks for enlightening me. Up interesting and awesome. Pamela, I think that diamond should immediately be shipped back to India before it brings down the whole United States. Good hub!